Lost love knows neither passion nor pretense. A poignant and mesmerising work that captures the myriad patois of a city considered by many Indians to be the holiest of places on Earth. Benaras, Varanasi or Kashi is home to the imperial sweep and magnificent scope of the Ganges. Benaras is also home to a whole spectrum of vertiginous culture that both scars as well as soothes an unsuspecting entrant to the city. Piers Moore Ede was drawn to this mystical place and soon succumbed to the riveting pull exercised by its elements. 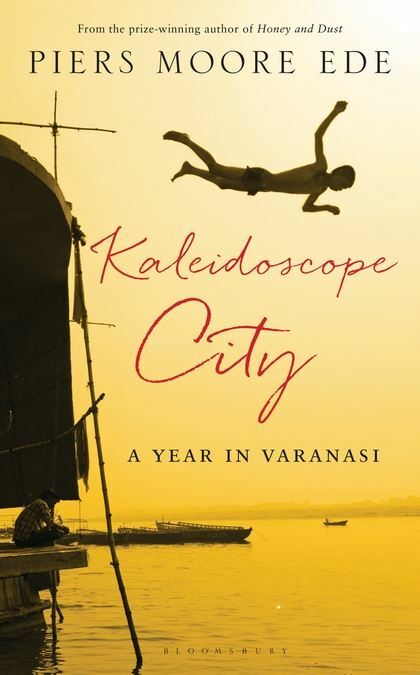 His fascination towards Benaras was such that he spent an entire year in a contradictory environment of warm solace and harsh reality. This work captures his stay in Benaras alternatively characterized by fervour, faith, fascination, fatigue and futility. Piers Moore Ede strives to illuminate in an uncompromising fashion the complicated fabric of culture that weaves together multiple races, castes and religions. A fabric where the sacred merges seamlessly and shamelessly with the seedy; a setting where the chances of accosting either an enthusiastic Sadhu or an enervated prostitute are mind bogglingly equal. “India’s tryst with modernity, is destroying far more than simply the respect accorded to the elements that sustain us. The river herself is a symptom of a whole civilisation hindered on its journey by a surplus of people, waste and corruption. And yet still she survives, occasionally sparkling in the light to remind us of who she is.” This profound statement by Moore depicts in startling detail the paradox that is Varanasi, a city struggling to come to terms with itself, it’s subjects and its legacy. Benaras is at once temporal and permanent. This fascinating paradox gets a deserving treatment at the hands of this author who seems to have found himself in a strenuous quest to find the soul of a City whose existence is a veritable testimony to a cathartic mankind! Kaleidoscope City – An unforgettable splash of colour!